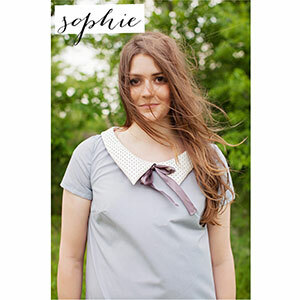 The SOPHIE SHIFT dress is a retro-style shift with a pointed collar and back zipper. 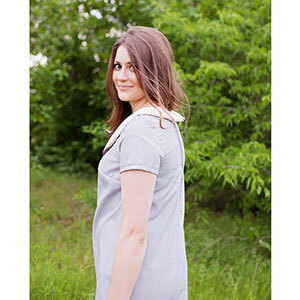 Side darts give the dress a semi-fitted top that flows into a cute shift skirt. Add front pockets and a little ribbon bow for more variants. This pattern comes with sizes XXS through XL. Suggested fabrics are light weight wovens such as crepe de chine, rayon challis, peach skin or lawn.